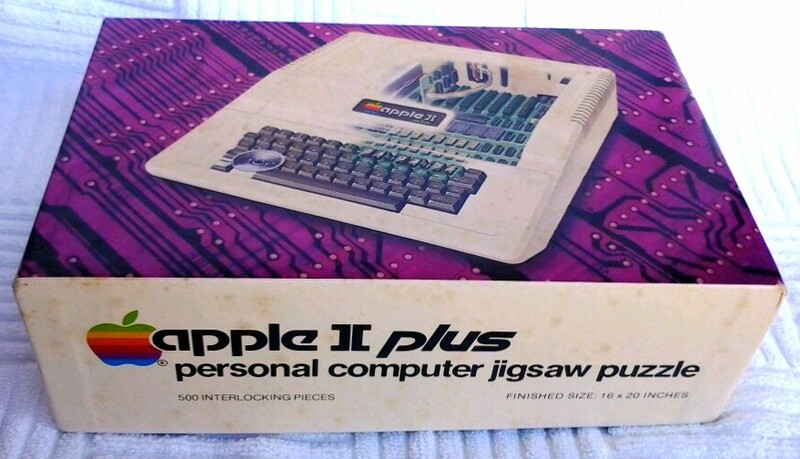 In 1983 Apple Computer introduced their Apple IIe, Apple III+, and the Apple Lisa computer models. 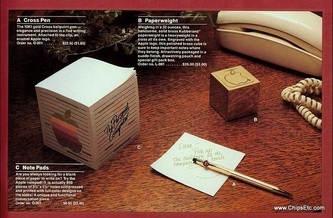 During this period in it's history Apple was shifting from competing against it's main competitor in home computers, Commodore computers, to competing against the hugely successful IBM PC computer. 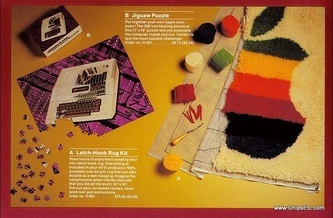 1983 was also the year that Microsoft first announced they would be developing the Windows 1.0 operating system to work with Intel based IBM PC compatible computer systems. 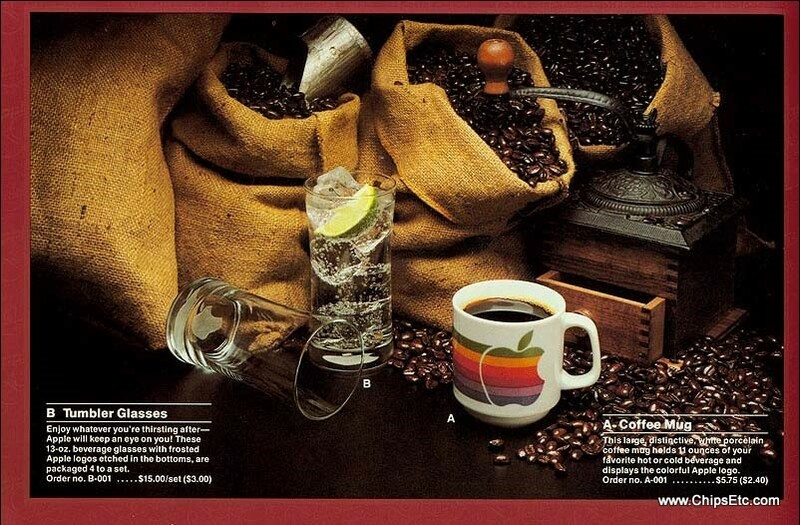 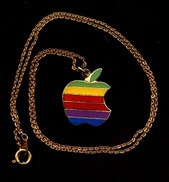 Anything with the Apple logo on it was quite popular during the 1980's, it publicly showed that you were not among the mainstream home PC computer user that was using the IBM PC. 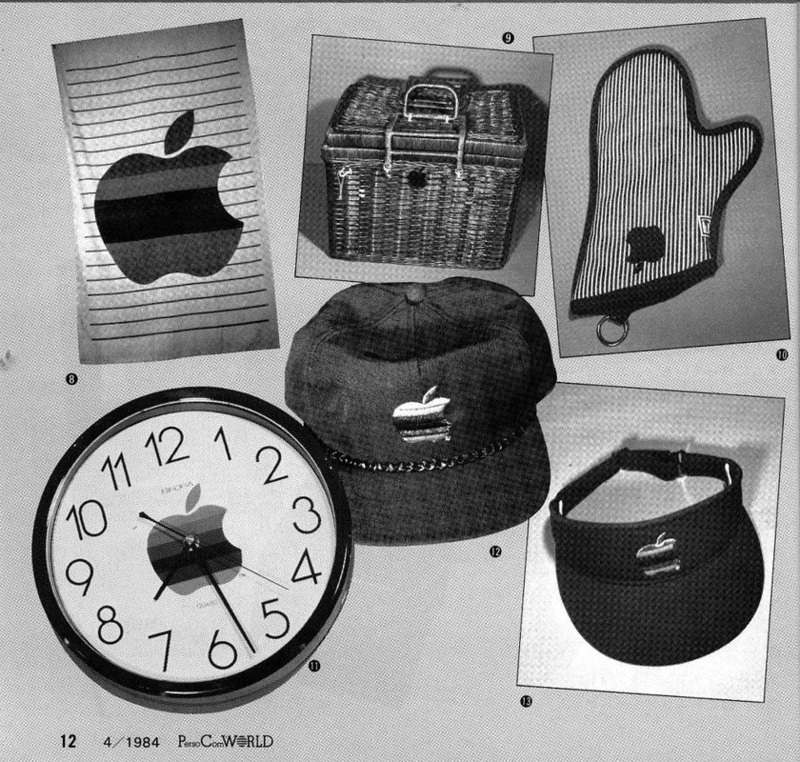 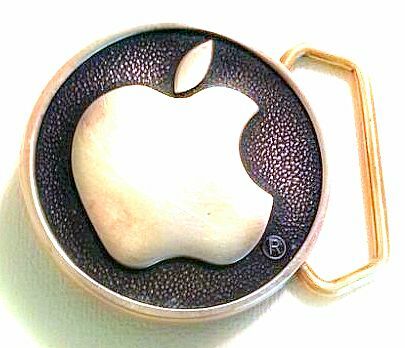 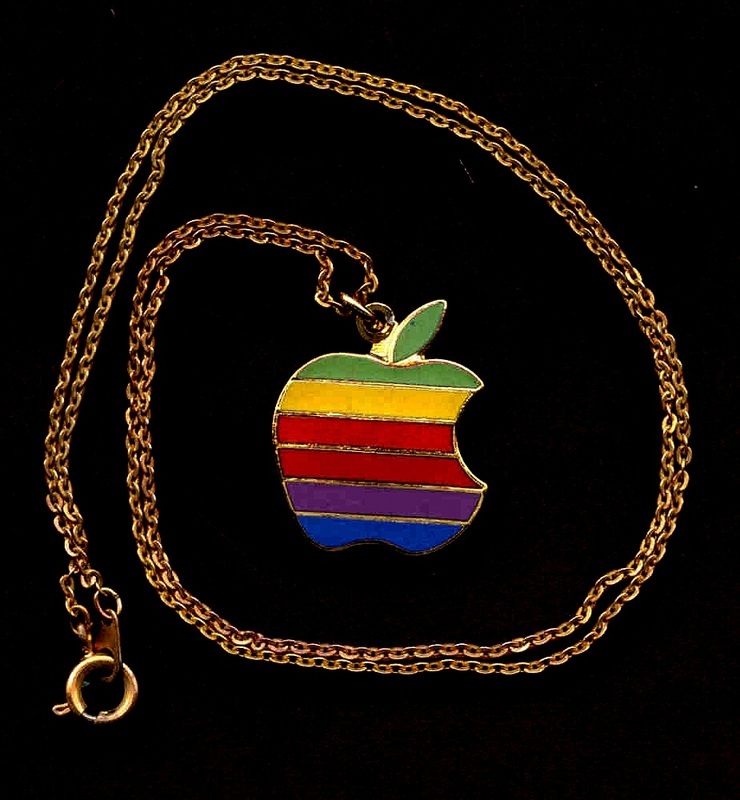 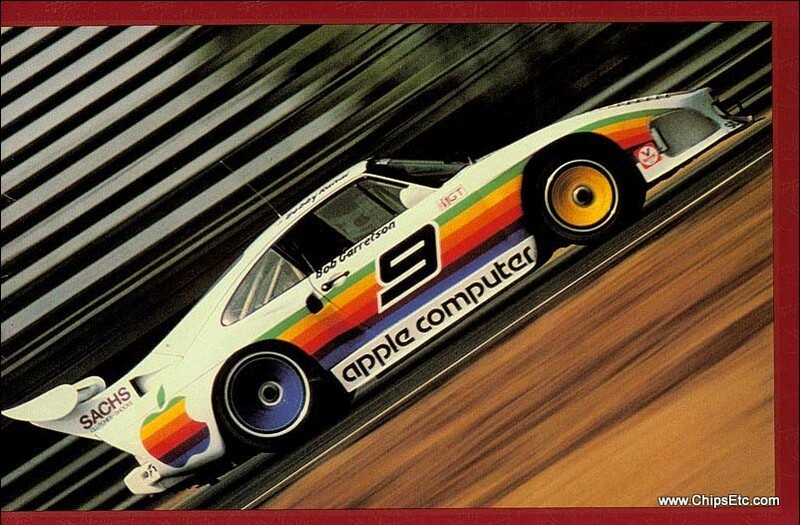 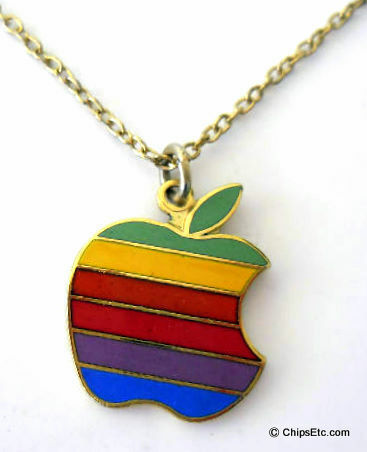 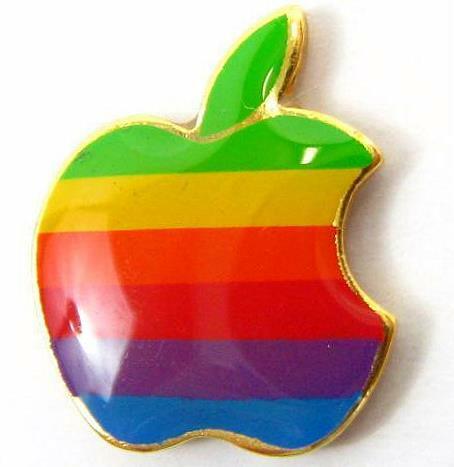 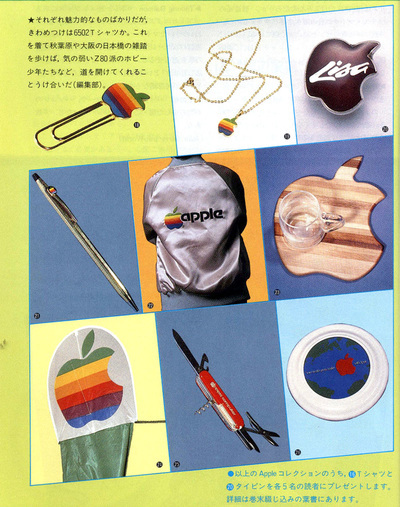 Apple Computer Jewelry, and Apple rainbow logo T-shirts were worn proudly by anyone who was "hip". 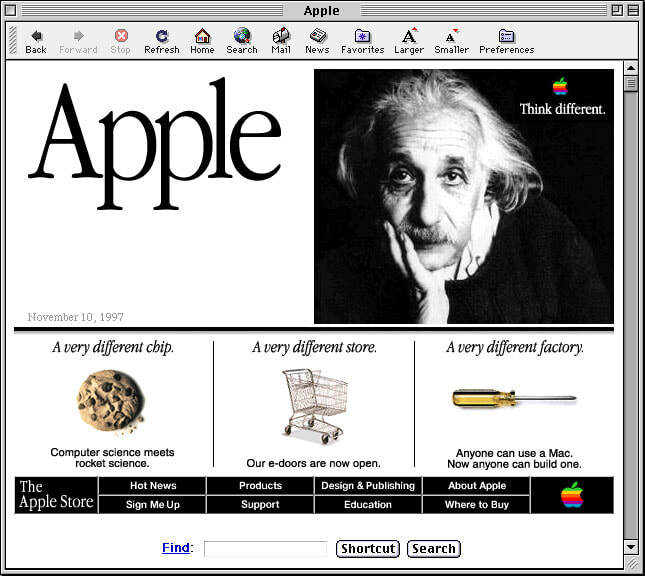 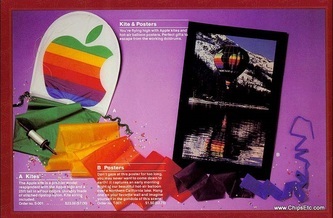 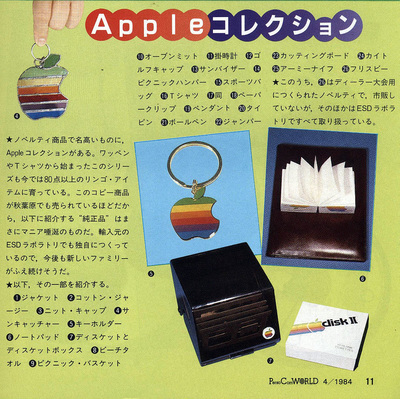 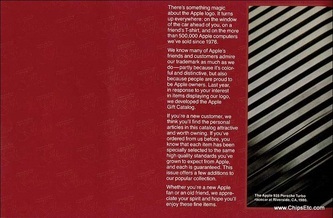 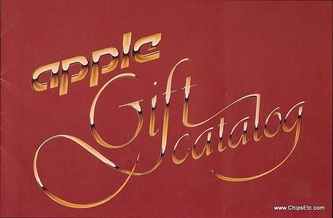 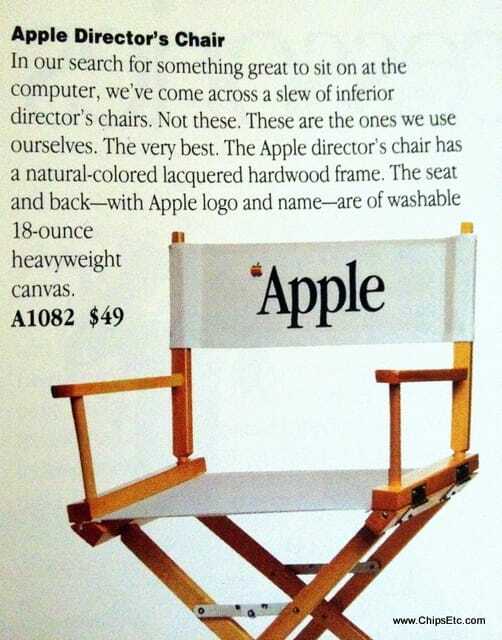 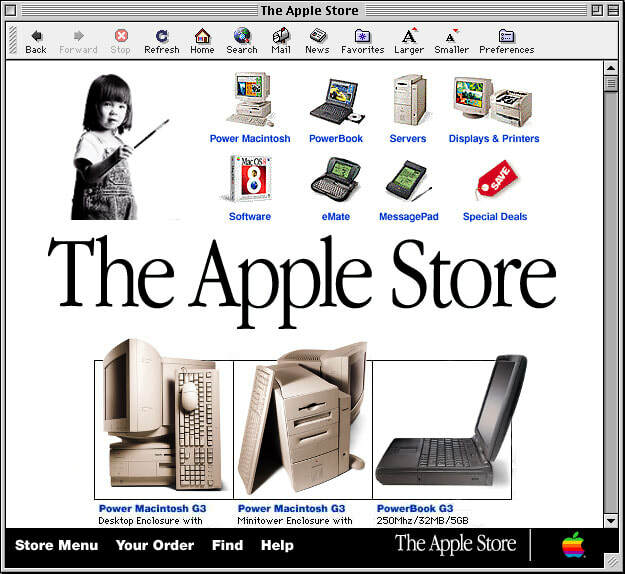 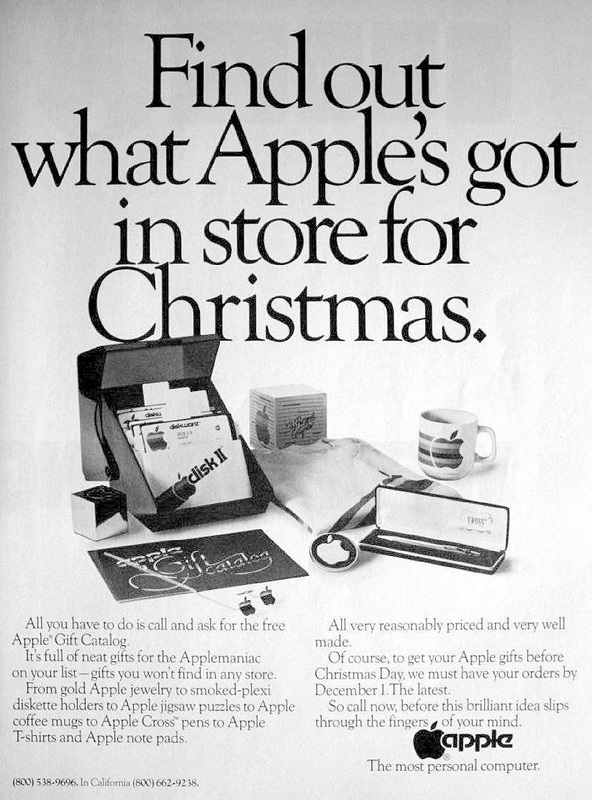 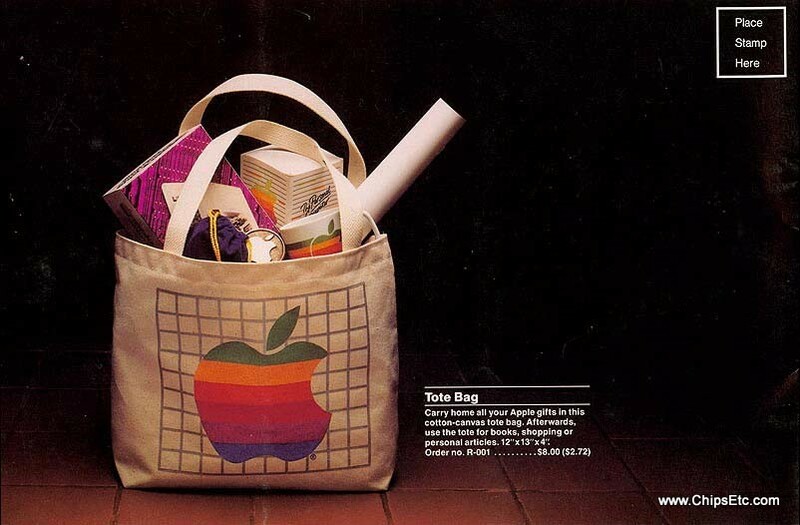 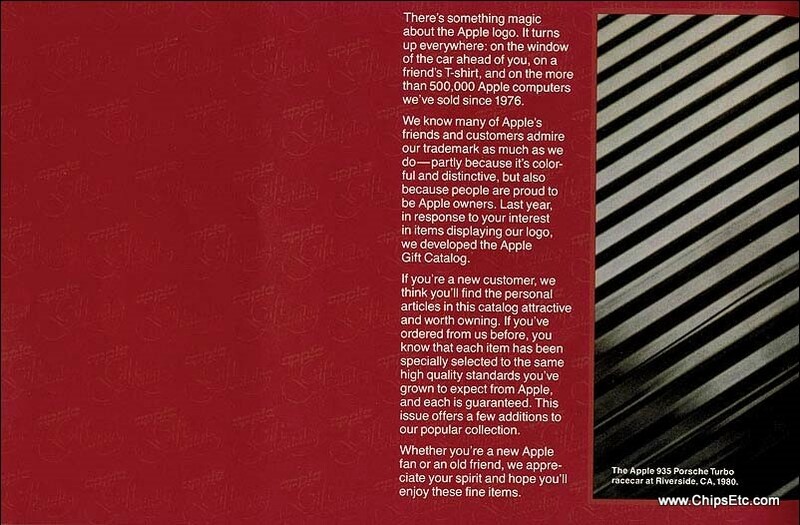 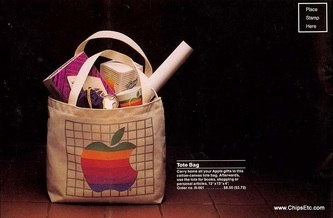 The Apple gift catalog was a full-color, promotional gift catalog available for free to the general public by mail or through Official Apple retail computer dealers. 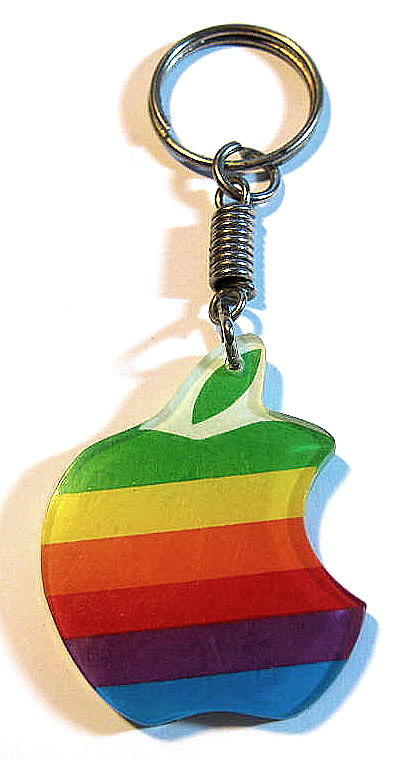 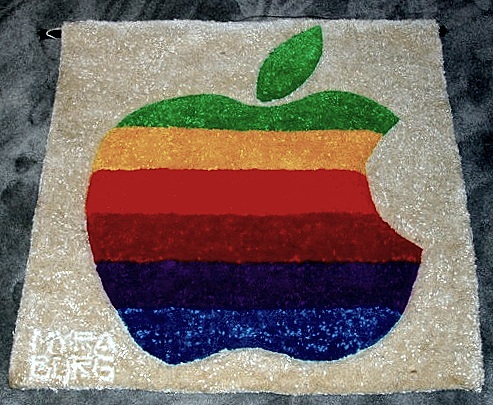 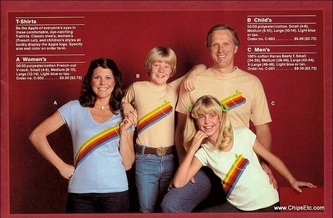 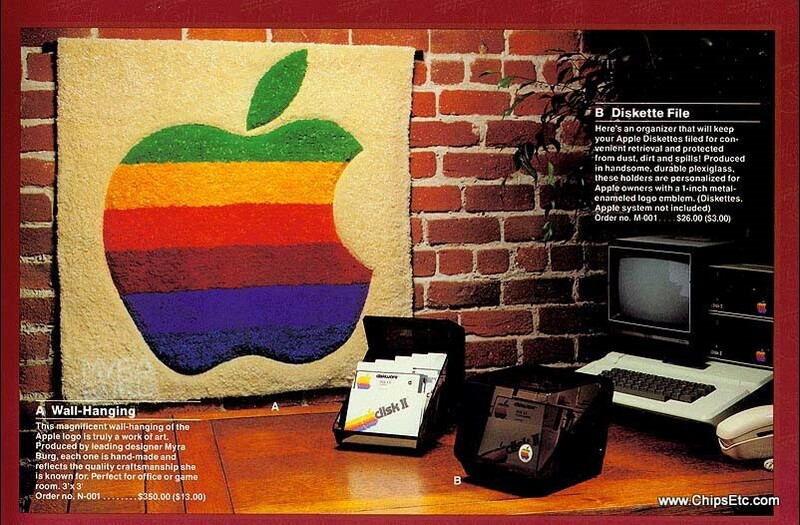 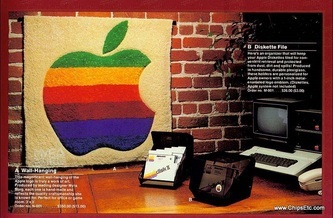 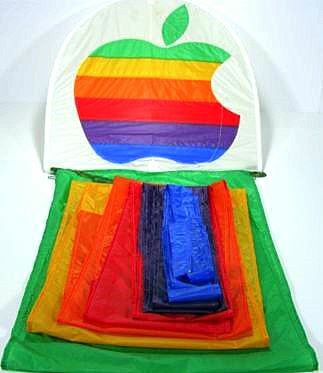 Apple wanted to promote it's famous Apple rainbow logo further through the use of unique, custom made gift items. 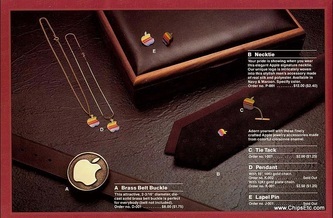 Some interesting (and now hard to find) items found in the catalog included an Apple II computer puzzle, an Apple brass belt buckle, an Apple rainbow logo latch hook kit or handmade wall hanging, various Apple rainbow logo jewelry - lapel pins, tie tacks & a gold necklace, an Apple brass cube paperweight, an Apple rainbow logo kite, and of course, those classic 1980's Apple logo T-shirts. 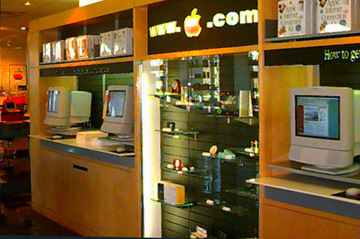 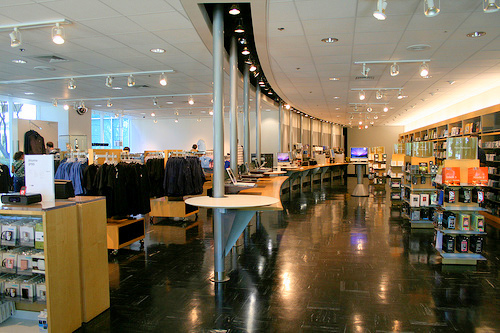 Located at Apple's Silicon Valley Headquarters in Cupertino, CA., the Apple Company store is the original Apple Company (Employee) store. 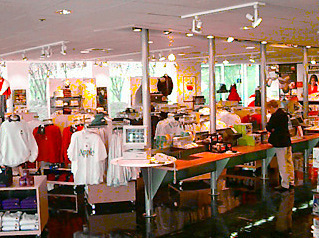 The store is also open to the general public. 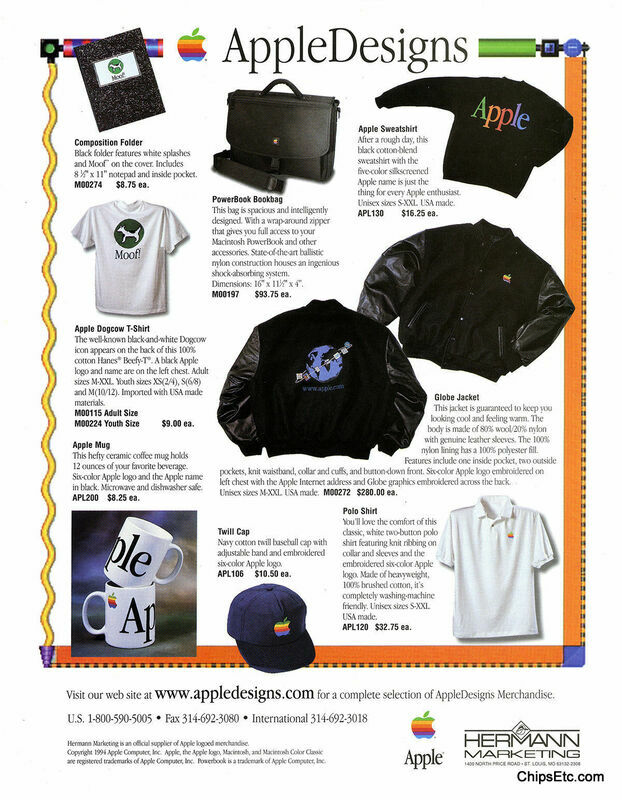 This is the only place in the world that Apple offers it's Genuine logo t-shirts, caps, mugs, keychains, and many other neat Apple branded items to the general public.